Dr. Benjamin Bolden's is winner of the Choral Canada 2016 Competition for Choral Writing for work, Tread Softly. This work will be premiered by the National Youth Choir of Canada at Podium Conference and Festival. You have mentioned that the inspiration for Tread Softly begin following a TED talk on Education with a theme of treading softly when it comes to educating children, how did you highlight this theme in the music? When the text ‘tread softly’ is first heard, the sopranos sing a simple, gentle, do-mi-do motif. The altos echo the motif in canon. Meanwhile, the tenors and basses start low in pitch and move steadily upwards, in parallel harmony, like a child growing up. Then the sopranos break out in a yearning, descending motif on the text ‘you tread upon my dreams.’ The lower voices echo the word ‘my dream’ low in their range, in a harmonic language that shifts to a new ominous-sounding tonality. For me, that harmonic shift signals the danger of quashing dreams. What resonated in the text for you in W.B. Yeat's Poem, The Cloths of Heaven? What resonated for me was the generosity and vulnerability of someone laying themselves out before someone else…the trust implied, and the need to respond thoughtfully, conscientiously, and with care. What do you hope for the National Youth Choristers to take away from Tread Softly when they premiere it at Podium 2016? Well… I hope the individual parts are interesting enough that the singers are engaged by what I’ve asked them to sing. And I hope they are able to wallow a little in some of the lush harmonies I’ve written. I also hope they can let loose and feel a thrill in the climactic moments. 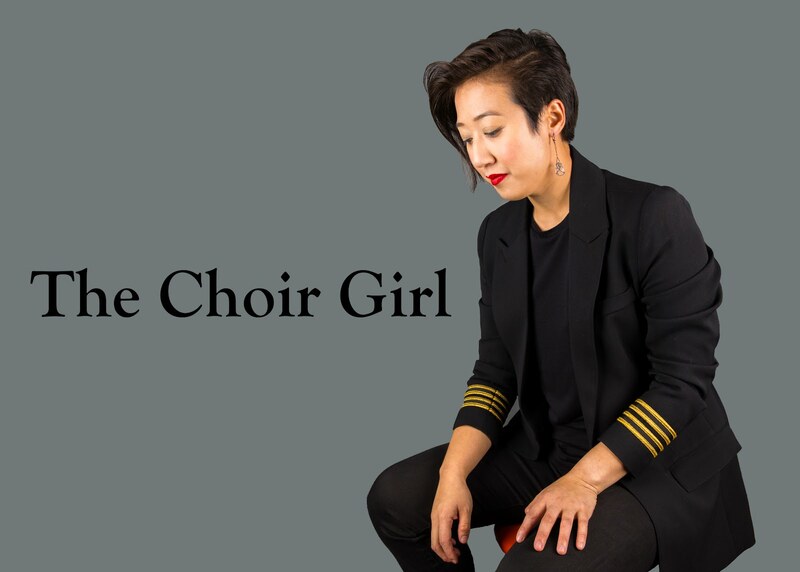 I sing in choirs too, and in the pieces I love best I find moments that I look forward to and relish—when my voice has the chance to sound the way I want it to sound, or when I get to contribute to a musical gesture that just works. I hope the singers find some of those sweet spots in this piece! Ultimately, I hope the singers feel they’ve been able to tap into their own musicality, give it voice, and help to create something beautiful. Where was the initial inspiration for you to become a music educator? I was inspired to become a music educator because I have seen so many lives so tremendously enriched by music—especially my own. I figured that bringing music to people, and people to music, was a pretty fantastic way to earn a living. It’s an immense privilege…and responsibility! How do you view your roles and responsibilities as a music educator? Basically I try to enhance and expand and strengthen the relationship between people and music. I once heard the brilliant Canadian composer and educator Stephen Hatfield say, ‘there are as many ways to be musical as there are ways to be beautiful.’ That rings very true for me. As a music educator, I try to help people realize how they can be beautiful in and through music. You have a diverse background in composition, education, and academic research, why is it important for you to assume these different roles? Because it’s so much fun! I love operating within these different roles. They all complement each other and they are all so compelling. And if I get weary of one of the roles I can move to the other to recharge and re-energize…I’m pretty lucky that way. You have created a series of Podcasts that share your relationship with music. Why did you choose this medium to narrate your story? Podcasts are wonderful for communicating about music, because you can combine music and spoken word together. And playing with those sounds is, for me, very much a form of composing. You have had exposure to many genres of music by members of your family, early music from you mother, The Police from your brother, but what do you think is at the heart of choral music that connects with you? At the heart of choral music, for me, is the notion of raising voices together. Connecting to an ancient and time-honoured musical practice that happens across eras and cultures. I think it’s such a wonderful thing to get together and do! The National Youth Choir Spotlight Concert will be at the Winspear Centre on Friday, May 20, 2016 at 8 PM. Tickets are available online. Hear Bolden's Easter Antiphon Online. Dr. Benjamin Bolden, music educator and composer, is an associate professor in the Faculty of Education at Queen’s University. His research interests include the learning and teaching of composing, creativity, community music, arts-based research, Web 2.0 technologies in education, teacher knowledge, and teachers’ professional learning. As a teacher, Ben has worked with pre-school, elementary, secondary, and university students in Canada, England, and Taiwan. Ben is an associate composer of the Canadian Music Centre and his compositions have been performed by a variety of professional and amateur performing ensembles. Ben was editor of the Canadian Music Educator, journal of the Canadian Music Educators’ Association/L’Association canadienne des musiciens éducateurs, from 2007-2014. He is the proud father of three rascally boys.